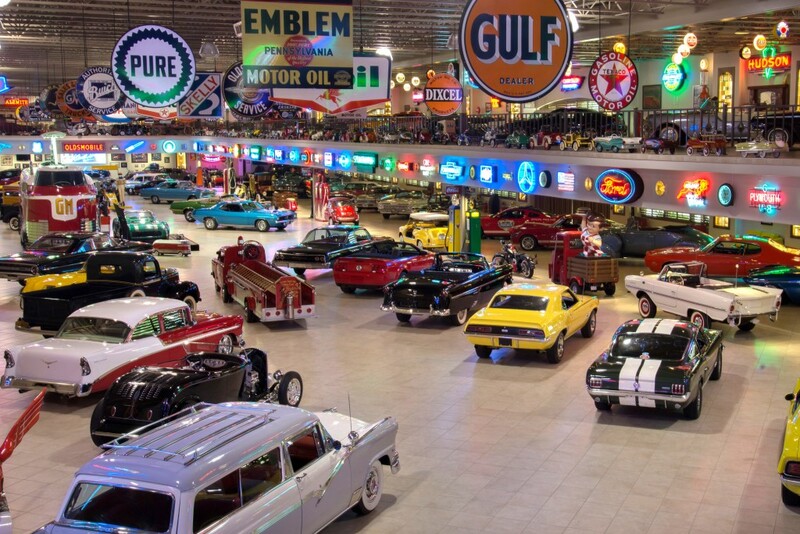 Scottsdale, Ariz. – Barrett-Jackson, The World’s Greatest Collector Car Auctions®, will auction several rare vintage American race cars during the company’s nine-day 45th Anniversary Auction, from Jan. 23-31, 2016, at WestWorld of Scottsdale. Three iconic American race cars heading over the block include the 1959 Corvette “Purple People Eater, the famous 1957 Chevrolet 150 #47 “Black Widow” and the 1963 Pontiac Catalina Super Duty “Swiss Cheese”. 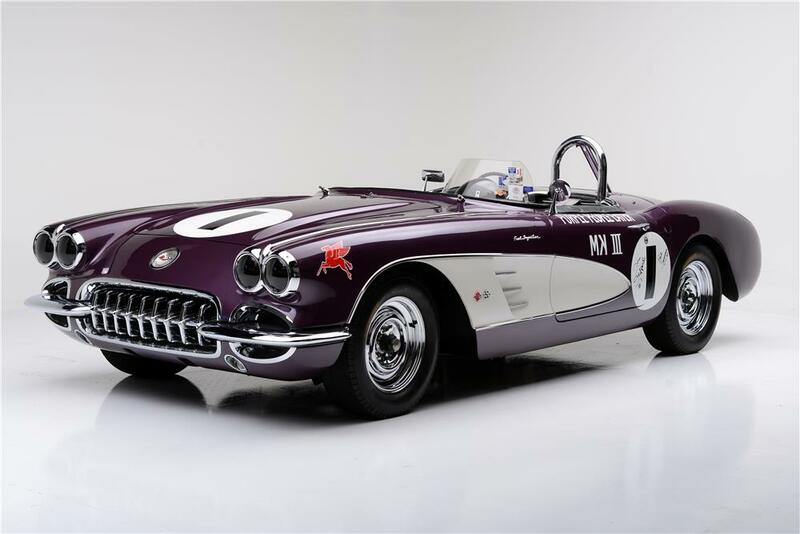 The 1959 Chevrolet Corvette, also known as the “Purple People Eater”, won the 1959 SCCA National Championship in the B/Production class. It started life as a white body/black interior car with a 290 horsepower, fuel-injected 283ci engine and a 4-speed manual transmission. Destined for glory, it was named for its non-factory color, which the Nickey Chevrolet body shop applied to make it stand out during races. The “Purple People Eater” is a part of the Chip Miller Collection, and its auction represents a rare opportunity to own a piece of vintage racing history. 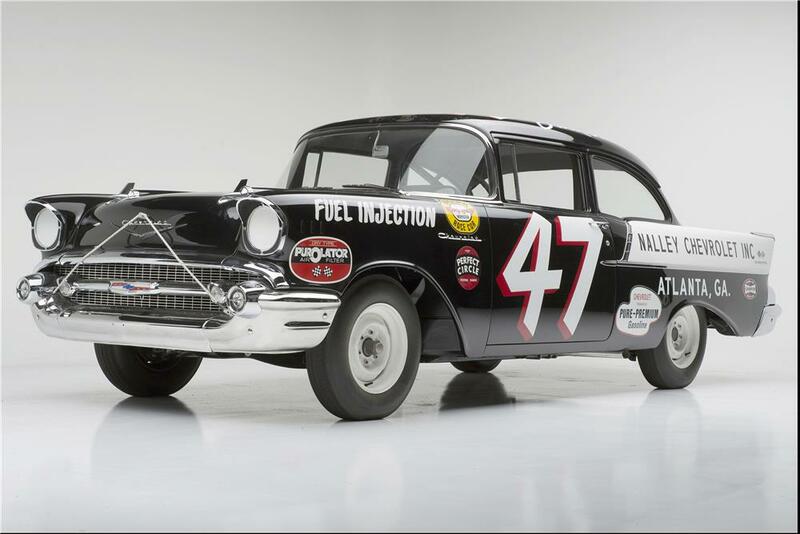 The 1957 Chevy 150 “Black Widow” is one of six original factory-backed NASCAR vehicles. 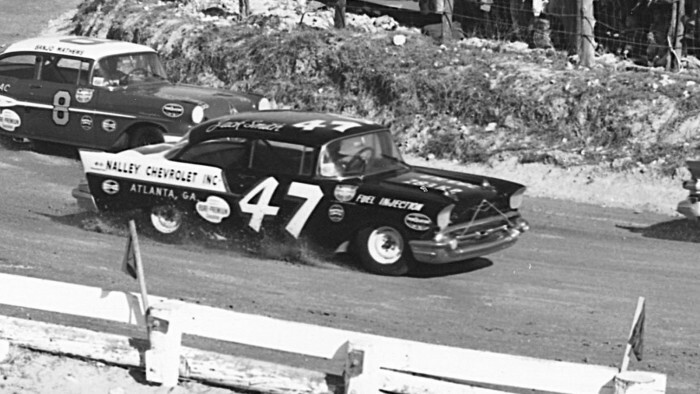 It was awarded the win at the Virginia 500 at Martinsville in 1957 after another race car crashed and injured several spectators. Featuring a frame-off, state-of-the-art, correct restoration, the Chevy features a 283 fuel-injected engine and period correct components, including 6-lug wheels, Fenton headers and exhaust, high-performance Hydrovac brake system, 20-gallon gas tank and a special HD 3.90 rear end. The 1963 Pontiac Catalina Super Duty “Swiss Cheese,” earned its nickname when approximately 130 holes were drilled in it to eliminate the boxed rails in an effort to lighten the frame. 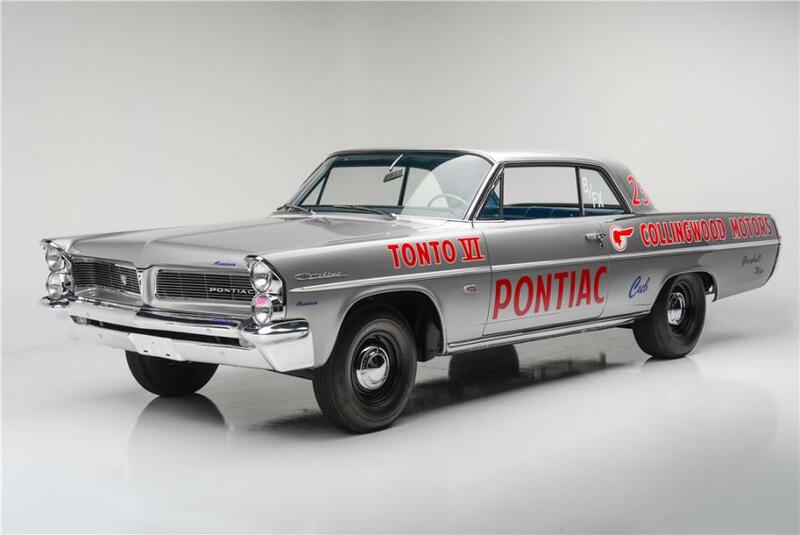 This particular race car was ordered and designated as a Pontiac company car for engineering purposes and became the final car built under the Pontiac Super Duty program in 1963. It is outfitted with a 421 Super Duty engine and top-of-the-line parts. 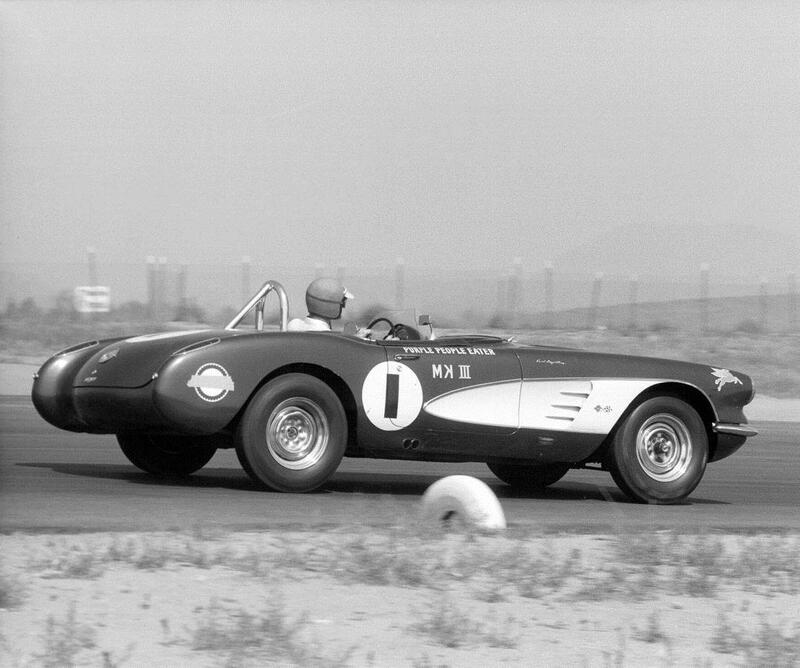 Only 14 “Swiss Cheese” 421 Catalinas were built before the AMA ban in January 1963. 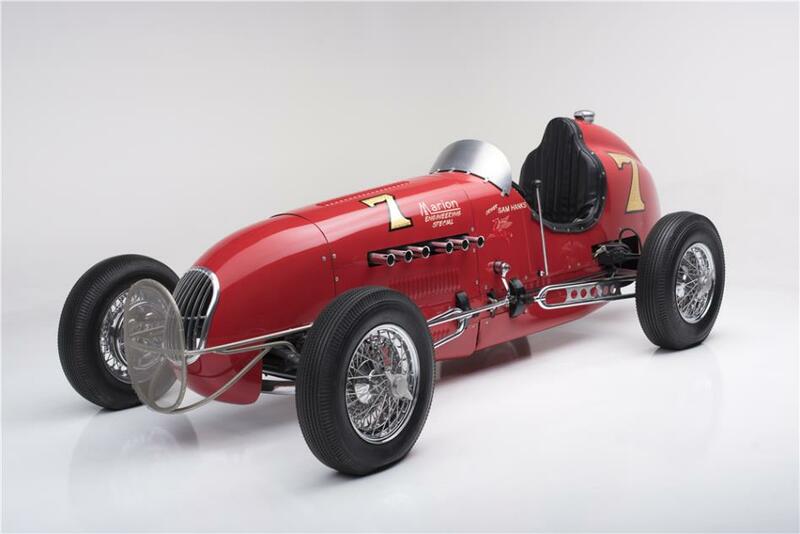 Also on the docket is a 1948 Kurtis Kraft KK2000 race car first raced in the 1949 Indianapolis 500 by Sam Hanks; never wrecked, this car appeared at five Indy 500 races, qualifying for two. The engine is the original Horning GMC 270ci with 12-port iron head and the front end of the motor and ancillary drives are the original roller cam developed by Chet Herbert. The fuel injection was developed by Hilborn and the chassis and body is by Kurtis.